If it is a hot day and the sun is shining down, then a great way to cool down is by drinking a glass of delicious homemade lemonade, poured over ice cubes. You can easily make a big jug of lemonade in just a few minutes by following this recipe, as long as you have some ice cubes ready and waiting in the freezer. This refreshing summer drink is perfect for a family barbecue, or if you are having some friends around for lunch and want to impress them with something homemade. Homemade lemonade looks best when it is served in a fancy glass jug, but obviously that's not important, as it won't stay in the jug for very long anyway. If you are anything like us, then you will drink it straight away! 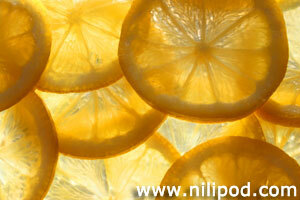 Scrub your lemons thoroughly in warm water, so that you wash off any wax that is coating the fruit. Pick a couple with the nicest looking skin and finely grate the rind into a dish. Pour on a little boiling water, so that the grated rind can flavour the water, and put this to one side to cool down. Next, roll all of the lemons on a hard surface, to soften the flesh inside and make them easier to juice. Cut them in half and juice them into a dish, tipping this juice into a nice glass jug. Add in a little cold water and all of the sugar, mixing this vigorously to dissolve the sugar crystals. Fill the jug half-way with some more cold water and then add your cooled lemon rind mixture, stirring well. Top the jug with ice cubes and serve your homemade lemonade immediately. If you like the idea of garnishing the glasses, maybe add a few slices of lemon and some mint leaves, freshly picked from your herb garden if you have one.